The primary symptom of hyperglycemia is excessive amounts of sugar (glucose) in the urine. 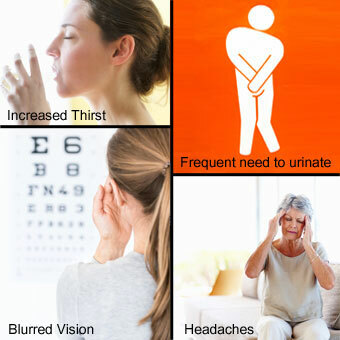 Hyperglycemias main symptoms are an increased thirst and the need to urinate often. Other symptoms and signs of high blood sugar levels in the blood are blurred vision, hunger ("hangry"), and headaches. 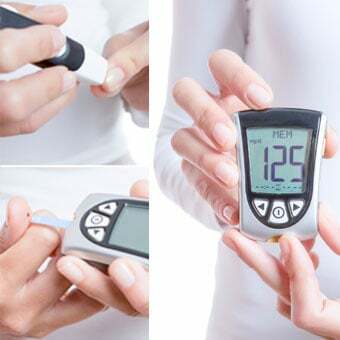 Other conditions that can cause high blood sugar are pancreatitis, Cushing's syndrome, unusual hormone-secreting tumors, pancreatic cancer, certain medications, and severe illnesses. 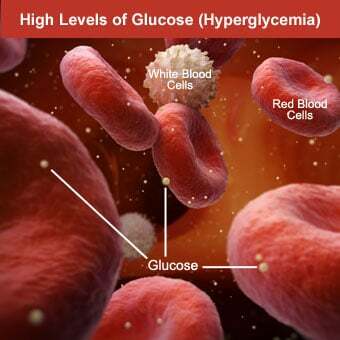 Hyperglycemia is the medical term describing an abnormally high blood glucose (blood sugar) level. 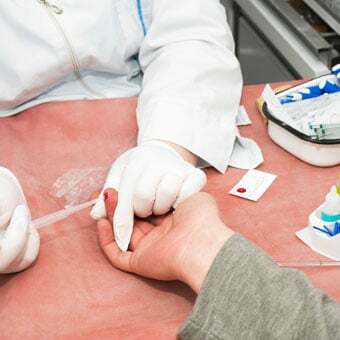 Blood sugar is measured in a sample of blood taken from a vein or from a small finger stick sample of blood. 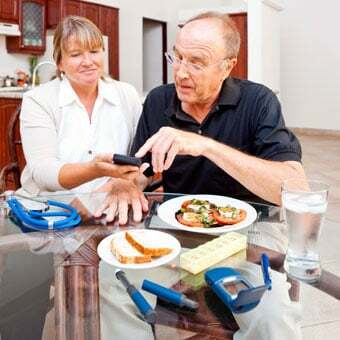 It can be measured in a laboratory either alone or with other blood tests, or it can be measured using a handheld glucometer, a small device that allows frequent monitoring of blood glucose levels without the need for a doctor's office or laboratory. Severely elevated blood sugar levels can result in a medical emergency ("diabetic coma"). This can occur in both people with type 1 and those with type 2 diabetes. 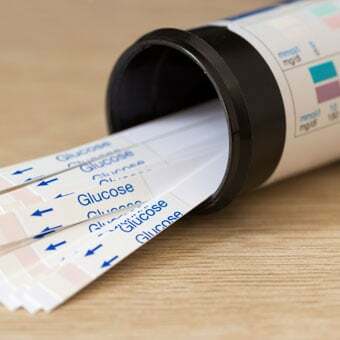 People with type 1 diabetes may develop diabetic ketoacidosis (DKA), and those with type 2 diabetes can develop hyperglycemic hyperosmolar nonketotic syndrome (HHNS, also referred to as hyperglycemisa hyperosmolar state). These so-called hyperglycemia crises are serious conditions that can be life threatening if not treated immediately. Hyperglycemic crises cause about 2,400 deaths each year in the U.S. Type 1 diabetes is responsible for about 5% of all cases of diabetes and results from damage to the insulin-secreting cells of the pancreas. Type 2 diabetes is far more common and is related to the body's inability to effectively use insulin. In addition to type 1 and type 2, gestational diabetes is a form of diabetes that develops in pregnant women. Studies show that between 2% to 10% of all pregnant women get gestational diabetes.